As always hard cider is one of the easiest things to ferment at home. Just dump the cider into a carboy, add some pectic enzyme (I've used 1/2 tsp per gallon in the past, but this time backed it down to 1/4 tsp to see if I could still get a crystal clear finished cider), and pitch the yeast about an hour or two later. In this case though instead of a clean cider/ale/wine strain, I used some of the slurry from the Wine Barrel Flanders Red (it started out life as Wyeast Roeselare Blend and Lost Abbey Red Poppy dregs ~18 months ago, but I have no idea exactly what is in there now). When fermentation didn't appear to have started after 48 hours I decided to pitch some hefeweizen yeast left over from my Weizenbock. Hefeweizen yeast may seem like a strange choice, but it is a somewhat popular choice these days. The idea is that the fruit esters will boost the aroma of the cider, and you won't get much clove spice because apples lack the precursor needed for the yeast to produce it. My concern with the general concept of a sour cider is that the sourness will seem too aggressive since cider ends up so dry. That said, because cider is so easily fermented there may not be that much residual sugar for the bugs to eat. Sour beers are generally brewed to have lots of complex sugars that the primary yeast strain can't ferment, but cider can easily get down close to 1.000 even with a regular ale yeast. We'll see how it turns out, if it ends up too sour I may blend it with a malty ale for further aging (New Glarus Apple Ale is the only similar beer I am aware of). I probably won't really know the results of this one until next fall, but I'd love to know if anyone out there has tried something similar. Added 1/4 tsp of pectic enzyme to each gallon jug about 2 hours before pitching yeast. Pitched 16 oz of slurry from the wine barrel Flanders red. 10/27/09 Not much activity, so I added ~8 oz of slurry from my Weizenbock. Good fermentation after 12 more hours. 11/07/09 Racked to secondary, still had some activity and sweetness, but that should be fine for the microbes. 1/16/11 Bottled with 4 oz of table sugar, gravity down to 1.003 (not as dry as I expected). 6/1/11 Carbonated nicely, although it took a couple months. Not much sourness, lots of complex funk in the nose. Question. I have a batch of hard cider that has been in primary for three weeks now. It is made from unpasteurized preservative free cider. I forgot to add pectic enzyme before I pitched the yeast. I am going to be racking to secondary soon and I was wondering if there would be any problems with adding the pectic enzyme during the racking? There is no issue adding pectic enzyme after fermentation, but it may not be as effective (I’ve never actually tried, but that is what the bottle says). That said, since the cider was not heated for pasteurization the pectins may not be a big issue for you anyway. Interested to see how this turns out. I had been considering something similar myself, after having my first taste of funked cider: brut de normandie. You can pick it up at DC-area Whole Foods. How much do I need to worry about preservatives when making cider? Can I just pick up some gallons from the supermarket? You should avoid cider with preservatives since they are designed to stop fermentation. These generally aren't too hard to find, just read the ingredients. 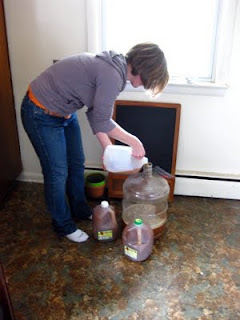 I am fermenting some (just a gallon) cider right now with the slurry from Wyeasts old ale blend. It formed a pellicle almost right away, but that broke up as the fermentation got active. Its just starting to clear now after 1 month+ in primary. The only thing I added to the initial apple juice was one gala apple and three crabapples which I ground up in a food processor, which I hop will give the brett something to chew on, that's the idea anyway. It's just an experiment. If fermented with ale yeast (or wine yeast for that matter), wont if get down to below 1.000, leaving nothing for the Brett to feed on? The brett and bacteria will do some work during primary fermentation. Brett will also screw around with the esters quite a bit even without changing the gravity much. Also, remember that 1.000 does not mean that there are no residual sugars, just that the relatively lighter alcohol and heavier sugars are canceling out. I recently made a batch of what folks are referring to as "Graff", ( 1 gallon of lightly hopped pale malt wort + 4 gallons of cider),. I decided to not boil the cider as I used completely unpasteurized cider from a local apple farm and wanted to see what the results would be like if I let the wild beasts work on the batch. It turned out pretty well and definitely had a "gamey" flavor about it. To my mind, it tasted very, very similar to a Geuze in almost every way. Funny thing is, as it has sat in the bottles, it has become very acidic. Might have to get out my pH meter and see if I'm drinking vinegar or not. Anywhooo, the reason I mention all this is that this time around I made the same batch and pitched a vial of WL german ale yeast as well as letting the wild bunch work on it. I've been busy as of late and haven't gotten around to bottling it. It has been racked to a secondary because the primary was just seemingly endlessly fermenting and I was afraid it was going to get too dry. It was 1.00 when I racked, yikes. Point is, I just checked it today and there is definitely a pellicle forming on it. So I am kind of torn, should i try to rack it out from under the pellicle or should I just let 'er go and do her thing and see what I wind up with? WWTMFD? ( what would the mad fermentationist do?),. I would just let it go. If there is a pellicle on top it means that there are wild microbes throughout the cider, so racking out from under the pellicle won't prevent more funk/sour from happening. On the first one you probably are just getting more lactic acid as the microbes that create acetic acid (aka vinegar) require copious oxygen. I was surprised how sweet this one was when I racked it to secondary last week, I guess my cold ~60 degree basement is keeping things moving slowly. I'm planning to do a sour cider next week but I'm torn as to whether I want to do all brett or treat it like a Berliner Weisse. The Berliner would be more controlled because I would pitch US-05, then crash it just under 1.010, rack off that yeast, and then pitch delbrueckii. Thoughts on which way to go? I’m leaning towards the all-brett. More upside AND, of course, downside. Both sound interesting, but all Brett sounds like more fun to me. I'd be really interested to hear how it comes out either way. I would add some campden tablets (1 per gallon). Leave it covered, but not airtight, for 24 hours for the metabisulfite to do its work. Then pitch your yeast. I considered going out to Distillery Lane, but didn't make it. I'd love to hear how your cider turns out. I posted above about my cider that had formed a pellicle. The pellicle never formed fully, then dissipated fully, became more of a bubbly looking clear film. I racked about 24oz out a couple of days ago to see how things were moving along, and to make sure I was just fermenting vinegar. Smell was a little funky and musty but no vinegar odor. Good sign. Poured into an 8oz wine glass, the liquid was a beautiful deep golden yellow, no haze or cloudiness what so ever. THe taste was fantastic. I drank all three glasses in about 2 hours. To my surprise it was too dry at all. The apple flavor was so delicate and yet pronounced at the same time, slight bit of sweetness, then the slightly sour/funkiness hits, then the citrusy hoppiness gets you on the finish, but not in an overpoweringly bitter way. I usually prefer carb'ed ciders, but this was fantastic still. The difficult part for me now is, do I bottle it now or wait another couple months and hope it improves even further? I used unpasteurized preservative free juice from a local orchard (Westmoreland Berry Farm) and used no campden. The wild yeasts in the juice definitely went to work. James, I made a Graff, but opted to hop it as per the recipe on HBTnetwork. However, I used 4 gallons of local, unpasteurized cider thrown straight into the mix. I did also pitch a vial of WL's German Ale yeast into the mix just for fun. I aged it for nearly seven month in the secondary. It's is carbed and I am drinking one as I type this. It pours a bit darker than yours, but not much, slightly more amber. Nice head, that retains at about a 1/4" throughout. Very nice lacing too, all the way down the glass! Not much in the aroma department though. The mouth feel is zingy and pleasant. The taste is interesting, ha ha. It's definitely sour, tart, and "wild" tasting. None of those are bad things in any way imho. There is definitely an extreme essence of apple, with little to no sweetness, very dry. I love it personally. I could drink them all night, which is not a good idea as the last time I did I wound up with a rather wicked hangover. But yeah, sour graff, thumbs up. Interesting stuff, I'll certainly look into going something like that in the fall. Has anyone tried making Basque or Asturian Hard Sidra (cider)? It is extremely tart and refreshing. Im not sure whether the tartness is a byproduct of the yeast used or the apples but when I think of funky cider I cant help but crave sidra. On a side note, if anyone has a homebrew recipe for Sidra Id love to check it out. I decided to have a go on cider from my parents apples. I picked about 120kg of two different varietes (dunno names in english) and had them pressed by a local juice shop. I got about 50l of juice, of which 20l was used to make hard cider. Used pectine and cambden, a day later pitched wyeast cider yeast. OG was 1045, bit low, but i decided not to add any sugar. First experiment with pure stuff. Two weeks later g 1000, racked to secondary. Another two weeks and bottled with sugar for carbing. Forgot to take gravity during bottling, stupid me but it was third bottling this weekend so I was already quite tired :) I didnt see any activity in the airlock for quite some time so I'm quite confident the fermentation was done. Now, after secondary, there was a thin layer of slimy thing floating at the top. Looked translucent, bit like kombucha. Definitely some sort of contamination, any idea what that could be? Decided to bottle anyway, tasted very dry and sour, so I guess some malolactic fermentation going on. I'm cool with that, I like sour ales and have experimented with kombucha. I'll solve the dryness by blending it at drinking time. The cider itself was already crystal clear, the pectine had definitely done its job. How long should I wait before first tasting? how does the maturation affect the taste? And was I foolish not to go for the pasteurized stuff? Thank for answers and great blog you have! I wish I had apples to press to make my own cider! Hard to say exactly what sort of microbe got in there. If it looked like kombucha it could be acetobacter, was the cider open to the air at all? Since the cider fermented dry and in the bottle where it won't be exposed to oxygen. I wouldn't worry too much, and it shouldn't be a big deal that you didn't pasteurize. I'd open a bottle after 2-3 weeks just to see how it is going. Often cider doesn't get great until about a year after brewing, the sour cider I did is still in the fermenter. So try not to drink too much of it until next fall. Hope that helps, let me know how it turns out. Yes, contact with air & acetobacter is possible. The sealing was not probably good enough; I was missing one seal because I didn't remember to take it with me (I "brewed" the cider at my parents). The fermentation worked OK during primary without it (probably because enough CO2 was generated to keep the air out), so I was hoping that it would be ok in the secondary also. Oh well. Learn by doing. It also got some air during racking. So, I guess bottling was the right way to go, to prevent acidity go overboard. I don't want too much funk since I try to make it also to my parents liking :) I'll let you know around Christmas how it starts to turn out. Mike, have you tried this? Is it good? Is there hope for my ridiculously sour brett c cider? I pulled a sample a few weeks ago. It is actually pretty mellow, nice apple flavor, not much sourness. Hoping to get a chance to bottle it soon. Did you ferment yours with 100% Brett C? Brett usually doesn't produce much acid on its own. It's actually a blend of two batches. The first batch was champagne yeast and apple juice. The second batch was brett c and freshish gala apples I boiled to sanitize. I'm not sure if gala apples are that much more tart than whatever is in the juice, or if the combination of yeasts is more attenuative than one acting alone. chips, which has mellowed the initial taste, but still pretty tart after that. Mike, have you considered achieving the desired sourness with acid blends? I'm considering blending acids/sugars after killing the yeast on my fermented cider. Good idea for sourness? Adding acid blend if fine if you don't want the funk to go with the tartness. I think of acid blend more as a way to make up for using sweet cider apples rather than the traditional hard cider apples that had more sugar/acid/tannins. Is there a chance that your cider went through a malolactic fermentation? That might be why it is less sour than you were expecting. It may have, but I doubt that is the reason it is less sour than expected because regular hard cider made with "drinking" cider isn't that acidic (which means it is low in malic acid). I really think it is the lack of more complex sugars, next time I'll add ~16 oz of maltodextrin. I recently procured some flash pasteurized cider from MI, pitched wyeast cider yeast for primary, then racked to secondary on fresh tart MI cherries (lb per gallon, 5 gals) + Brett and a starter of dregs from a few bottles of Isastegi cider (If you haven't had Isastegi, I highly recommend it!). Its been about 2 months since I racked it and haven't tasted it yet..I'll probably wait another month or so, but I'll let you know how it goes! Interested to hear how it turns out! Sarasola is the only Basque cider I've tried, and I wasn't a fan. I'll be on the lookout for Isastegi. Just bottled half of the above with some lactose and blended the other half with 2 fresh gallons of organic MI cider + new cider yeast + fresh brett c + pectic. I have 5 lbs cherries left that I'm going to use to feed the brett over the winter....really psyched to see what blending with the fresh cider is going to do to this one. The half I bottled yesterday was crisp with a light sourness and a fantastic lambic/gueze like aroma. Also, it's pink from the cherries, which is a nice touch. Just thought I'd drop an update. Why the pectic enzyme? Just to promote the yeast growth? Ferma-aid K works nicely for that. I never use the pectic and have crystal clear cider. Am really jealous of what Ryan B is doing, Isastegi is my idol of cider. How can I make a dreg starter? It seems necessary to put some more fruit or something with the microbes? To give them something to eat? 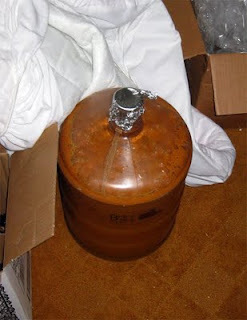 I've never gotten really clear ciders without pectic enzyme, they always came out muddy (take a look at my 2006 batch). Are you using unpasteurized cider? It seems like the pasteurized ones have a bigger problem with pectin because they are heated. I’d pour ~1/4 cup of cider (maybe water it down to ~1.030 or so and with a pinch of yeast nutrient) into the bottle with the dregs. Let it get going, then step it up into a larger starter. I press my apples, so no pasturizing. Just some time in the carboy, and maybe one racking produces perfectly clear cider. Sometimes I get carried away and put too much lees in the bottle but even that drops out if poured carefully. I have a 6 gallon batch of Apfelwine (just unpasteurized cider + some dextrine fermented with champagne yeast) fermenting in primary right now. I'm planning to split off about 2 gallons to sour in a small carboy by adding some Wyeast lactobacillus delbrueckii with lactose for it to chew on. I saw your post above that you would add maltodextrin if you were going to do this again. Do you have a recommendation on lactose vs. maltodextrin if I'm trying to specifically feed lactobacillus? Not all Lacto strains can consume lactose or maltodextrin. I tried a pure lactose ferment with White Labs strain and didn't get any action. just curious, why do so many cider brewers seem to be so concerned about a crystal clear cider? so what if it's not clear? i love a cloudy beer, why not cider? I think the drive for clarity is not only based on the commercial examples (which tend to be crystal clear) but also the fact that being so pale cider can look really muddy (take a look at the first cider I brewed). Most beers are darker which hides the haze and look good regardless of their clarity. You can clear with gelatin too. Primary for maybe a month, rack to secondary for a month, then chill to about 40 or colder. Then add gelatin and it should clear in a few days. Gelatin does a great job clearing yeast that refuses to flocculate, but I'd never read that it was effective against pectin. Where I am (south west of England), even a lot of commercial cider producers actually use 100% spontaneous fermentation! We are very lucky to have a lot of great cider producers and a lot of old varieties of apples. The most important element in cider making (as in winemaking) is the variety of apples used and the proportions of the blend. If you have great apples and a little extra flavour from spontaneous fermentation and aging in old oak, you're gonna have great cider on a par with the ciders of Brittany and Normandy and the south west. If you only have acces to eating apples/drinking juice, then picking a proportion of wild / crab apples (about a third of volume in juice) will help to add some bittersweet edge to your cider and also provide the spontaneous fermentation. Also allowing your apples to sit for a few hours, after milling but before pressing, will allow the natural tannins to oxidise and give a fuller body. You need to age it at least 6 months before drinking. Cider making is only easy if the juice is already pressed for you! Otherwise its a lot more work than beer! P.S. I love your beer posts! Currently 1 year into fermenting 4 x 5gallons of spontaneous lambic off the back of your info. Keep up good work. I thought I would post here because I couldn't find much info anywhere else. I get fresh persimmerons every year and did a nice sparkling cider with them last year. I adeed water, sugar, raisins, and quartered persimmerons to a pot for 30 minutes at 70 degrees Celsius and champagne yeast once it cooled. The flavor turned out a little too light for me but good overall. This year I decided to go a little more extreme. I did the same as last year but also added a few bags of English tea and a cinnamon stick. I added American two row malt, waited 90 minutes at 62 degrees Celsius, then added grocery store apple juice so that half the volume was water and half was Apple juice. Do you think I will just get some extra malt or something else? I have all the above mentioned ingredients in a five gallon bucket fermenting. I usually rerack after a week. What do you think will happen with the grain in there? You could treat it either like a beer or a cider it sounds like. Hopefully works well with a bit more sweetness and body than a fruit/sugar based fermentation. Let me know how it turns out! I was recently considering making an all Brett Brux Cherry cider. I've Brewed several Brett beers, but have zero experience with ciders. Purchased a gallon (glass) jug of organic pasteurized apple juice, no added flavors, sugars etc. and a can of Oregon tart cherries in water. Questions: can I simply remove some of the juice, add the cherries and pitch the tube of Brett Brux? Or should I make a starter? And is it okay to add the cherries prior to pitching Brett, or should I let the Brett do some work and rack onto cherries at a later time? White Labs Brettanomyces tubes have fewer than 3 billion cells. You want to pitch at or above the pitching rate you would for Saccharomyces, so 30 billion plus for a gallon. That will mean a starer on a stir-plate, or two without. Each step will need about a week to reach peak cell density. For beer, I like waiting to add fruit so it is as fresh as possible when it is time to drink, not sure how much that carries over to cider. Best of luck! Great to read all these experiences. A few weeks ago I juiced some apples from the garden and just let them ferment. Nothing else except juice and whatever yeast they had on them. Tasting on today (4 weeks after pressing) and it is dry. It got down to around 0.995. Some peppery flavours going on, very dry, lightly carbed, sour, fruity notes with a distinct apple after taste. Sadly because the summer here in New Zealand was very dry, not many apples so only made 5 bottles. 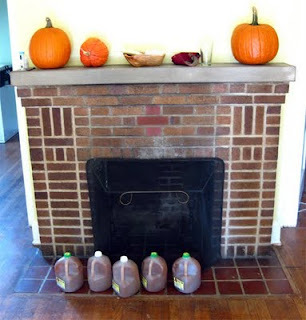 I really need to try out a true "wild" cider fermentation this fall! Mike, I have been thinking of culturing up some dregs from commercial basque ciders I found down in Columbia Heights and using those for fermenting out a cider. The bottle says they contain sulfites. Do you think this means any yeast making into the bottle is dead? I don't know for sure, but a decent chance that the sulfites killed the wild yeast. No harm trying to grow them up though! Regarding growing up Basque/Asturian cider dregs, I had some success with that (all contained sulfites) and just started fermentation in some Kimes unpasteurized cider with a liter of that starter and some champagne yeast. I had Trabanco 2013, Gazatenaga(?) 2013, and on a whim bought some Urbitarte 2014 at Gillies in Rockville. I'm glad I did, because that last newer cider really blew up in the starter after the other two, which I think were too old to revive. The starter was VERY funky and sour, almost worryingly close to vinegar. I'm hoping the champagne yeast will keep it from getting too crazy, but still leave plenty of the wild yeast character and sourness. 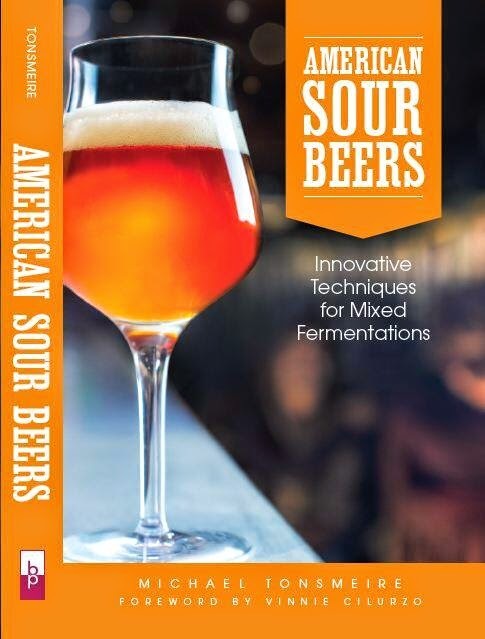 This is a fantastic site by the way, this article and many others have been super informative as I've been making my first forays into sours. Ben, thanks for the comment. I, too, had success with growing up the dregs and using them to ferment three gallons of pasteurized cider from whole foods. It took about 3-4 months for the fermentation/conditioning, but it is tasting damn near close to basque cider. Nice to hear, always looking for interesting sources for microbes! If I have a good cider I'll try it in a lambic-like wort too to see how it does.